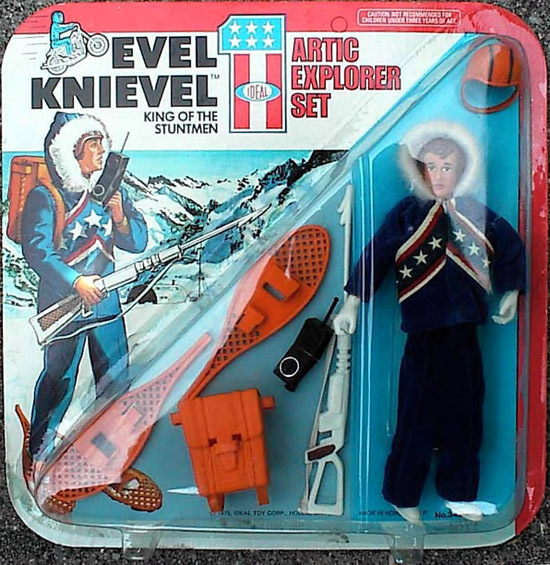 Do you remember Evel Knievel? I sure do. Loved his name. Had his stunt cycle too. But just ran across this item the other day at a toy show. Nice fellow selling it let me snap a picture. Quality is right up there with Action Jackson accessories, if not better.